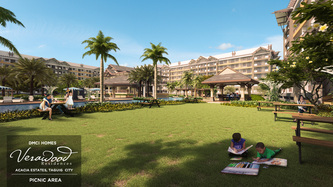 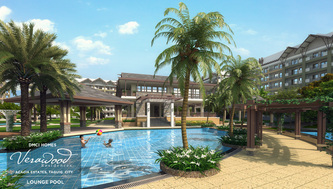 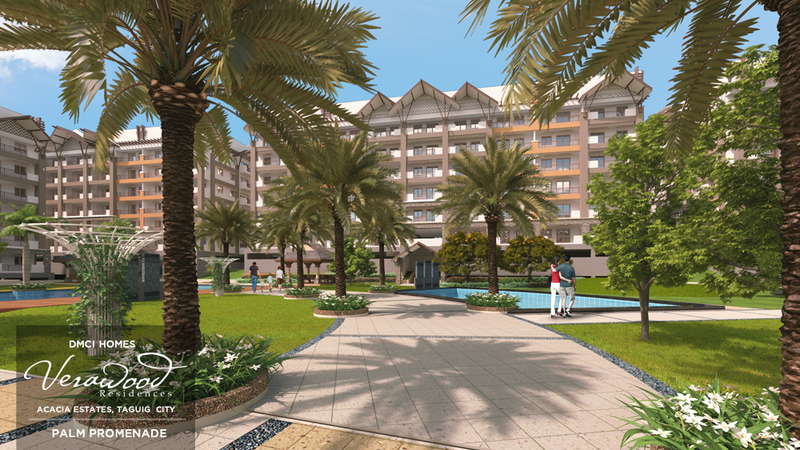 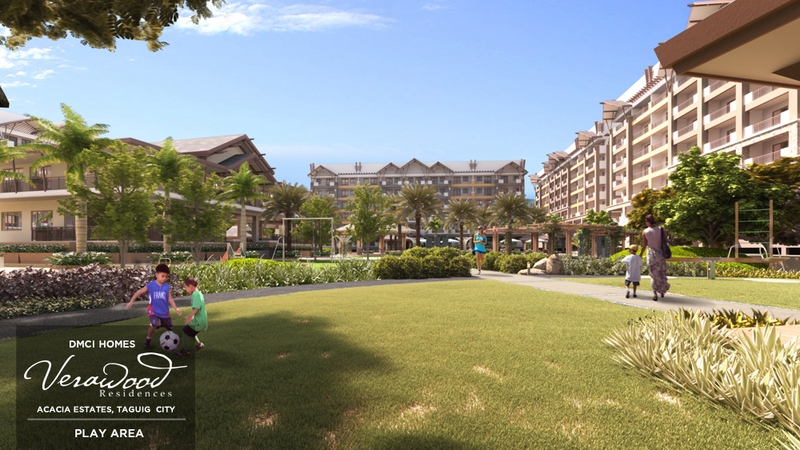 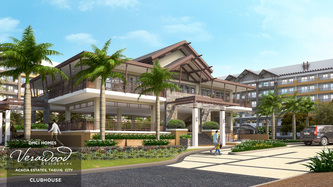 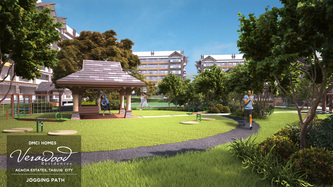 Delight yourself to a resort-inspired living community that brings the island spirit. 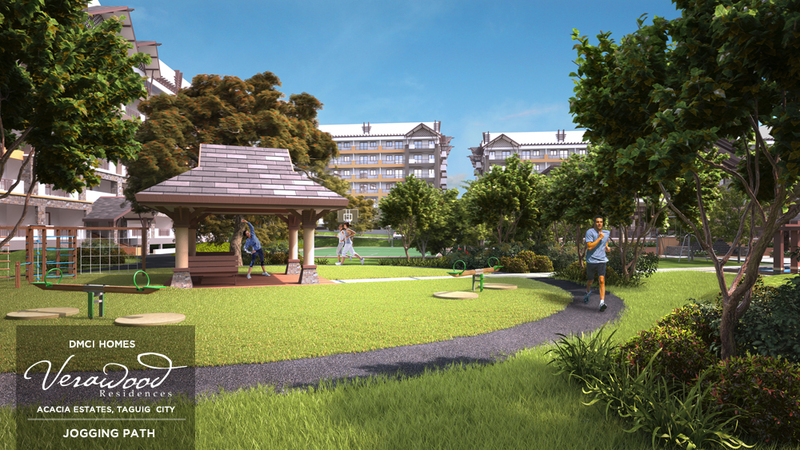 Wake up each day feeling refreshed and inspired, getting up to a view of an invigorating mix of ground level amenities and verdant landscapes. 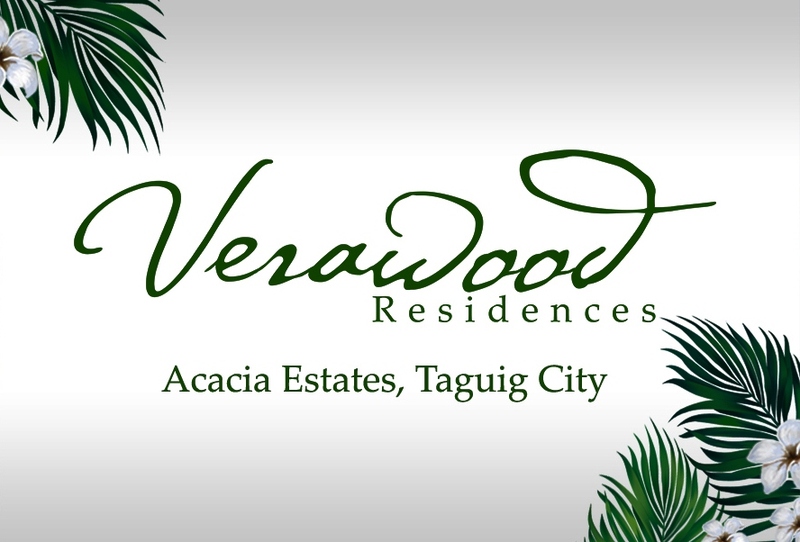 Shuffle your feet back and forth, dancing to the beat of convenient city living bringing you close to places that matters to you. 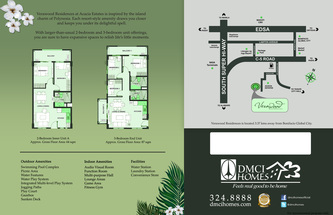 Enjoy a great sense of individuality or nurture your growing family feeling safe, serene, and secured in a fine community that works for you. Come home to vacation, everyday! 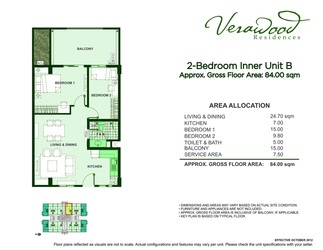 one’s own heart and mind. 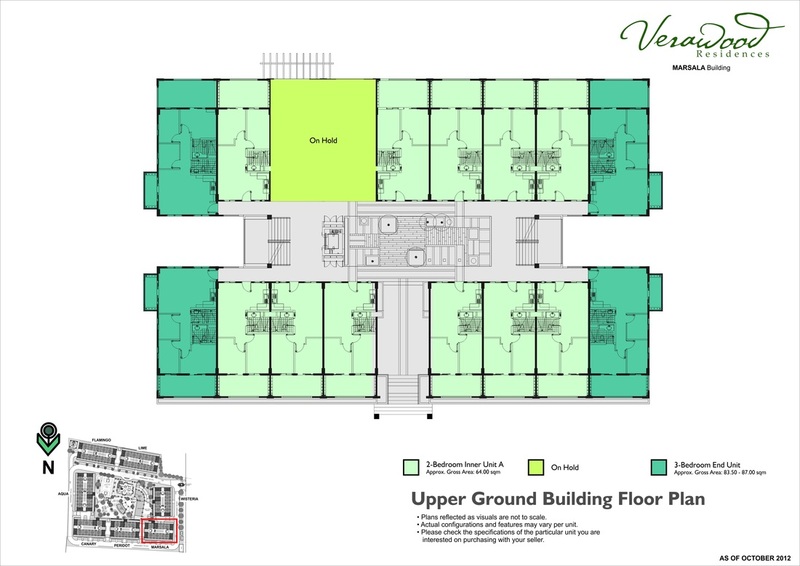 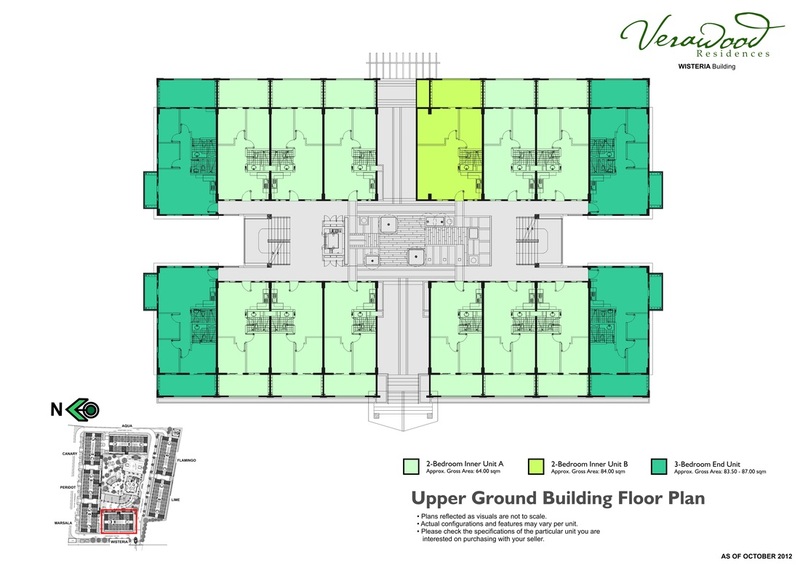 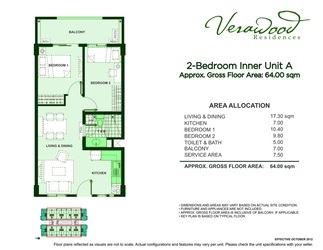 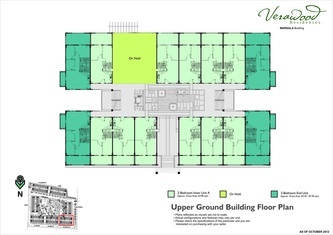 Although Verawood Residences offers respite from the urban hustle, its residents remain in the loop since the development is only approximately 15-30 minutes away from major medical centers, well-regarded educational institutions, commercial hubs, and airport terminals. 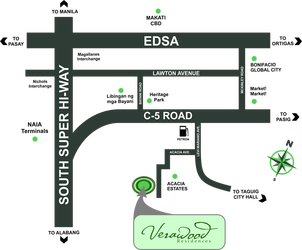 Its location is near the Makati Central Business District and Bonifacio Global City, and is accessible to Quezon City, Ortigas, and Southern Metro Manila via C-5 Road. To view the Google Maps location, click here. 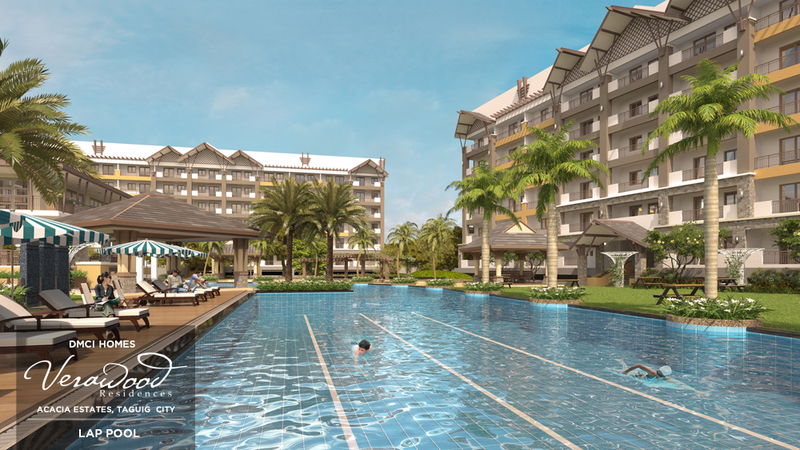 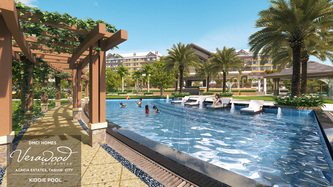 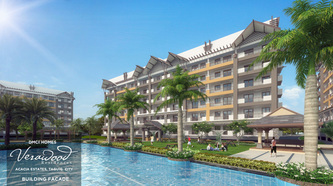 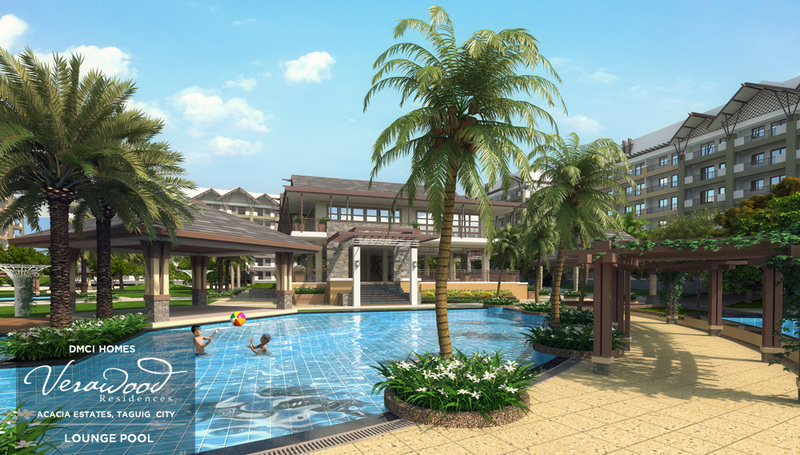 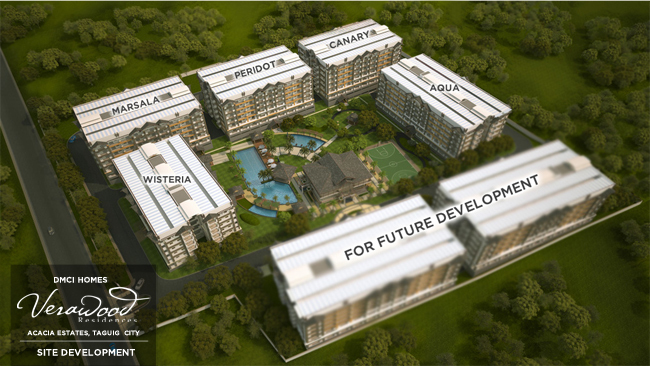 Accessible via C-5 Road and a few minutes away from Makati Central Business District and Bonifacio Global City, the project is situated in the heart of the Acacia Estates, Taguig. outdoors and truly have that island vibe within the community. 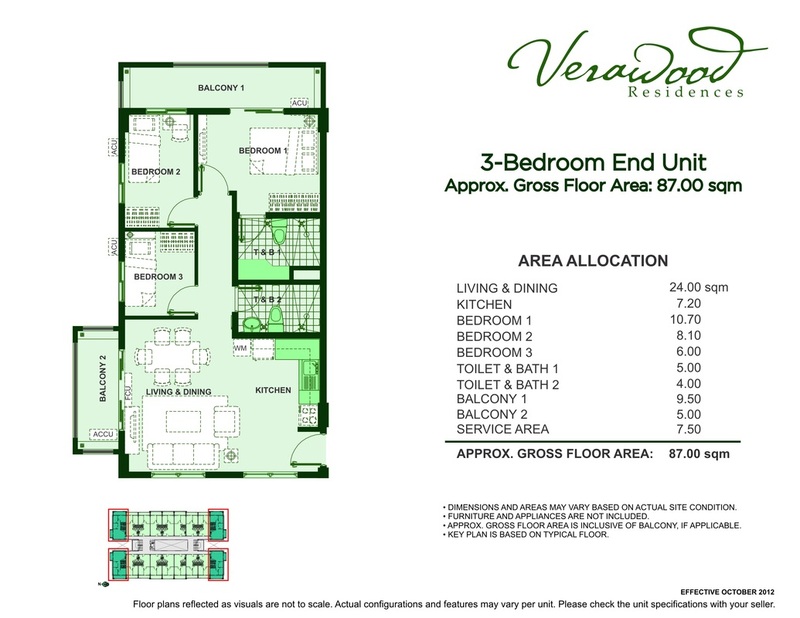 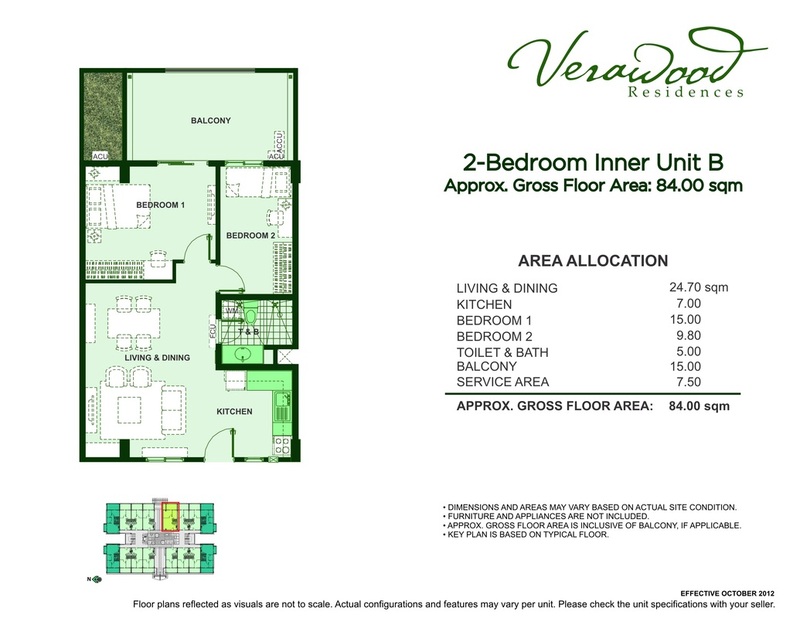 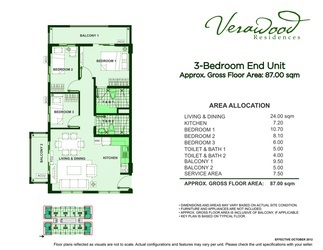 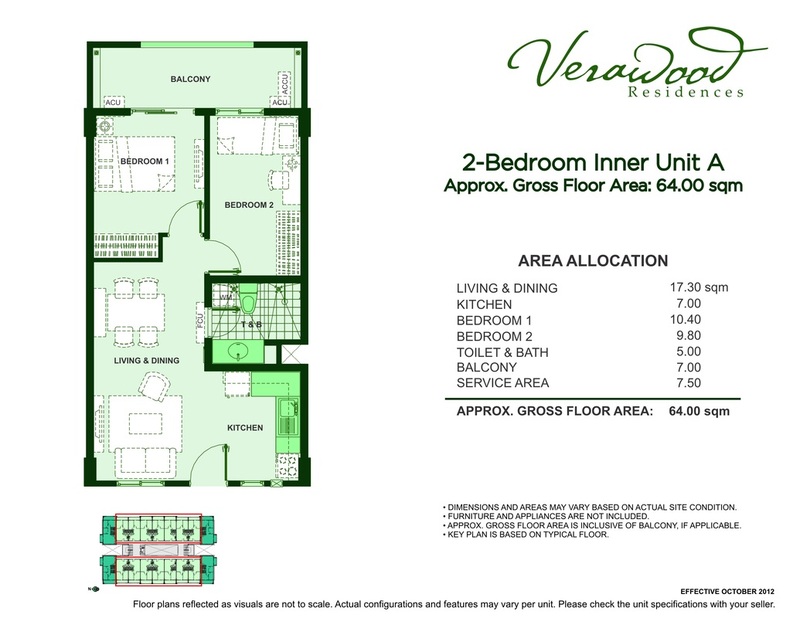 Savor personal space and family time with two and three bedroom unit variations. 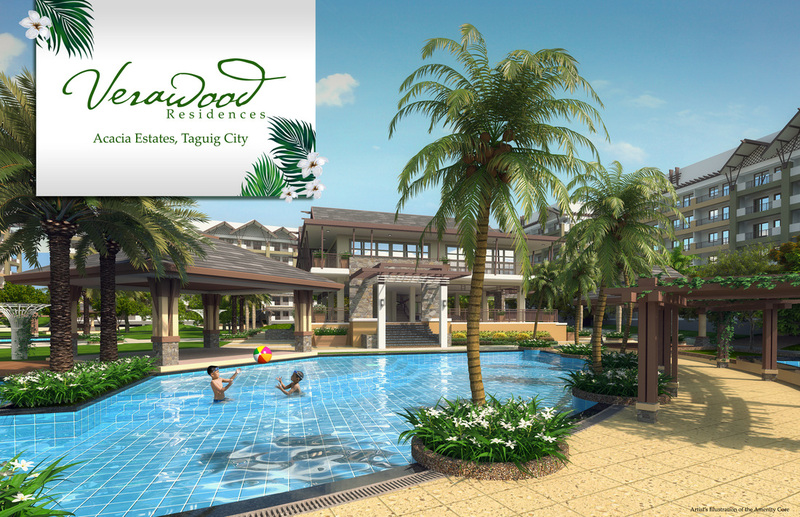 Families looking to upgrade to a new condo unit for their growing needs and thriving lifestyle will find in Verawood Residences an invitation to live their dream vacation all year-round.